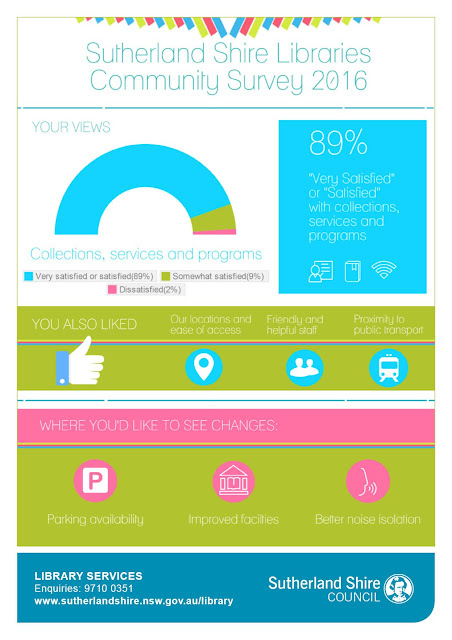 Sutherland Shire Libraries launched a community survey in May 2016 to help plan for the future. The survey was open for four weeks and received nearly 2000 responses. This infographic summarises the overall response from the public. Thank you to everyone who gave us their feedback we are using this in the development of Sutherland Shire Libraries' Business Unit Plan, Delivery Program and Operational Plan.